Because we have our own workshop in Italy, the design, size and material of each fireplace mantel we create is individual. 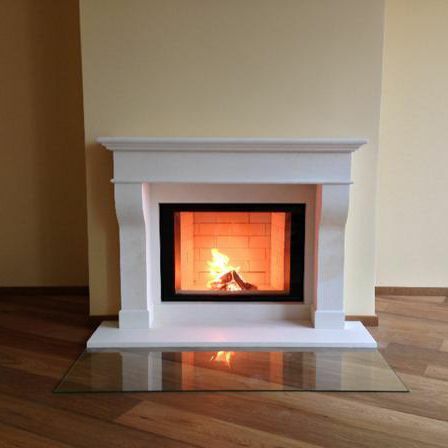 Our fireplace mantels can be installed with an open fireside or an insert and even encased in glass. The can also accommodate open or closed gas fireplaces. Here is a small selection of our fireplace mantels that we designed together with interior designers and architects. Simply ask for more information regarding our product range.